Roberto Ferazzi joined FAR Networks as a Senior Microsoft Architect in February 2017. He is very active in the Information Technology field since 1989. After gaining the highest Novell certifications (Master CNE, CNI) he pursued specializations in Windows Server, Active Directory, Messaging, Unified Communication, Security. Since 2000 Roberto is a Microsoft Certified Trainer working mostly on Windows Server, Virtualization, Unified Communication, Exchange Server, Office 365 and Azure . In 2015 he became MVP for Office Server & Services. 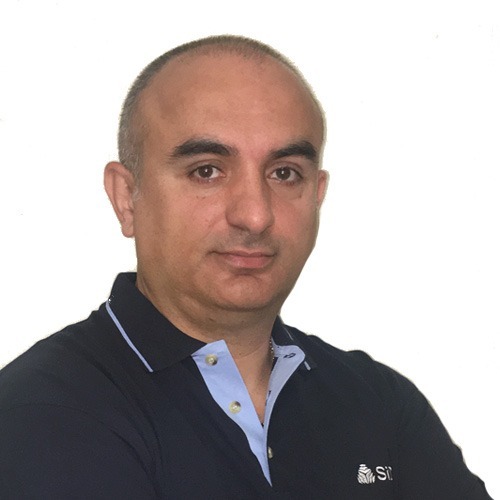 Roberto will be at SID in Milan on the next 14th of June, holding a session about: “Exchange Online Protection + Advanced Threat Protection = Email Total Protection”. Roberto is a Microsoft Community Contributor (MCC) and Microsoft Most Valuable Professional (MVP) for “Office Server and Services” category. My name is Roberto Ferazzi, I live in Italy with my wife, a son and a cat. I’m an old Exchange Server guy, I was present at the birth of Exchange in the far 1996 and I was honored to be one of the guest of his 20th anniversary party. I own a lot of Microsoft certification and I’m honored to be a part of the MVP community for the Office Server and Services category (Exchange Server). At this moment I’m working on some of the new great features of Windows Server 2016, the most innovative Windows Server of ever, after Windows 2000 obviously. I’m particularly focused on the storage features, Storage Spaces Direct and Storage Replica and Virtualization. But hey Roberto, are you a UC guy, don’t you? Yes, I am, don’t worry, I still working on Exchange and Skype for Business on all flavors, onprem, cloud and hybrid, the dark side is calling me but the force is still strong in me! Since my primary focus is the UC world in particular Exchange and Skype for Business, I’m a contributor and moderator of the forums on these two topics on Microsoft TechNet Forums Italy. I give my contribute also on Hyper-V and Virtualization forum and other TechNet forums. I contribute to the Microsoft Community in many different way, by writing on my blog, by speaking at important Italian technical conferences, by posting videos to Channel9 and by picking up my bag and going around to customers. On what forum threads have you collaborated with other community members to help answer a question? Be a member of the Microsoft MVP community gives a lot of privileges and opportunity; sometimes, when I need help, I ask to my fellows MVP or to the members of the Product Group, I ever receive great answers and great food for thought. The forums that I follow requires the same level of attention. It’s important for the contributors to give the right answer, no hurry, if necessary reading the documentation. I’m impressed by the dedication of some contributors especially the big effort they dedicate to the forum, go ahead guys! Unfortunately PG people is not present in the Italian forum, but we engage them, if necessary. Very often people open a thread to ask how to implement a product or a solution, for example “hey guys, I need to install and Exchange infrastructure but I never did it, can you explain me how to do it?”. Guys, there is people that invest a lot of money and time to study, to get certified and to reach the necessary level of skills required to install/implement/configure Microsoft products. These guys can make his skills available to help you on specific issue, on specific requests, on specific solution, but they cannot teach you full course in few post lines. Other tip: people, we are in the 2017, stay updated, if you open a thread about Exchange 2003, Windows NT or Windows 98, maybe you have a bigger problem than you think. Last but not least, details details details, give use the more details as you can regarding the issue and the environment! – Tip number one: people ask to the forum when they got a problem, please don’t complicate the situation with “esoteric” solutions! Sometime the best advice is to engage a local Microsoft partner, especially when there is a serious risk of data loss or the service is compromised. – Tip number two: keep it simple! Simple solution, simple answers, simple life! – Tip number three: there is not always a solution, sometimes people ask for solution to issue that must be solved by changing the approach, in this case the right advice is to help people to think to the objective, the solution they found may be not the right solution. Last but not least, respect, education and remember, it’s not a competition to who reply first or how receive point for the marked answer!